Rivian RT1 - Yay or Nay? Thread: Rivian RT1 - Yay or Nay? 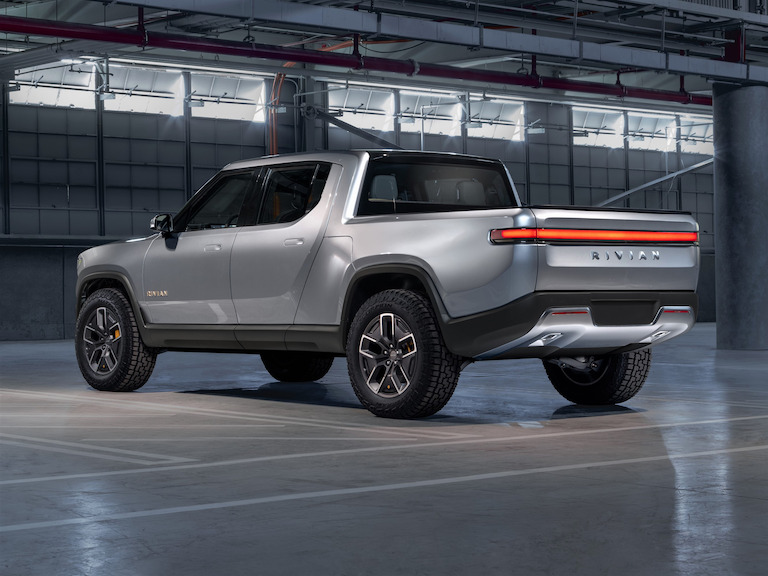 RIVIAN RT1: THE SUPER FAST, SUPER CAPABLE ELECTRIC PICKUP OF THE FUTURE? At this point it's hard to deny the impending electric car revolution both in the United States and around the world. There are more EVs for sale than ever, and even more coming from both new and familiar brands in the coming years. However, along with charging infrastructure, one of the things that has limited the appeal of EVs is the lack of body styles. At the moment nearly all EVs available are either compact cars, luxury sedans or luxury crossovers. One company that's looking to kickstart the EV truck movement is Rivian, an American start up that has just unveiled its ambitious RT1 pickup ahead of the LA Auto Show. 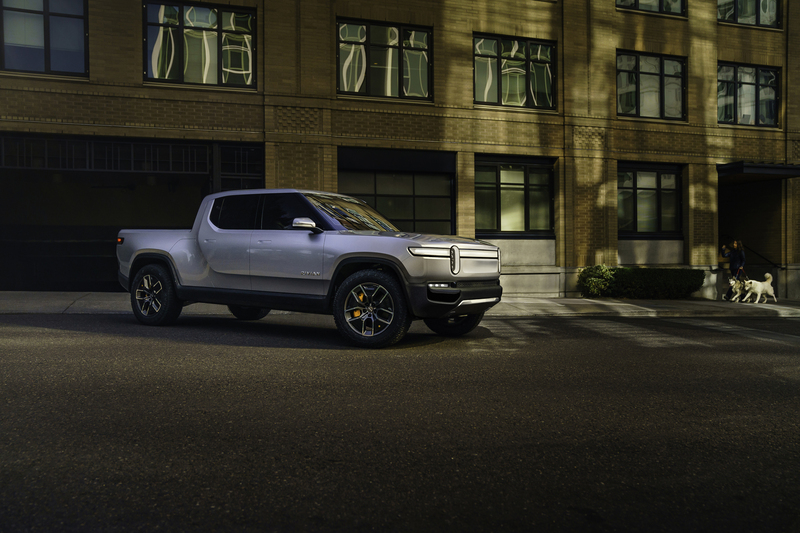 Built atop a common “Skateboard” platform, Rivian has introduced its R1T pickup and R1S SUV as a reimagination of their respective segments, says company founder and CEO R.J. Scaringe. 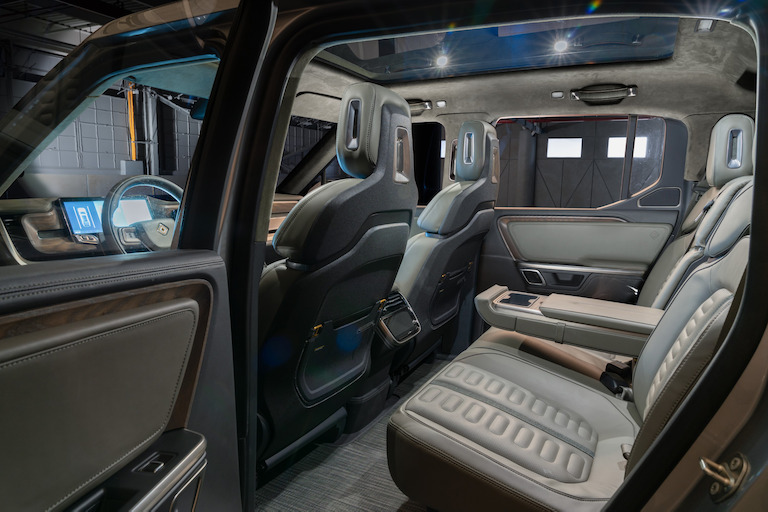 “I started Rivian to deliver products that the world didn’t already have… Starting with a clean sheet, we have spent years developing the technology to deliver the ideal vehicle for active customers,” Scaringe says. “This means having great driving dynamics on any surface on- or off-road, providing cargo solutions to easily store any type of gear, whether it’s a surfboard or a fishing rod and, very importantly, being capable of driving long distances on a single charge,” he continued. 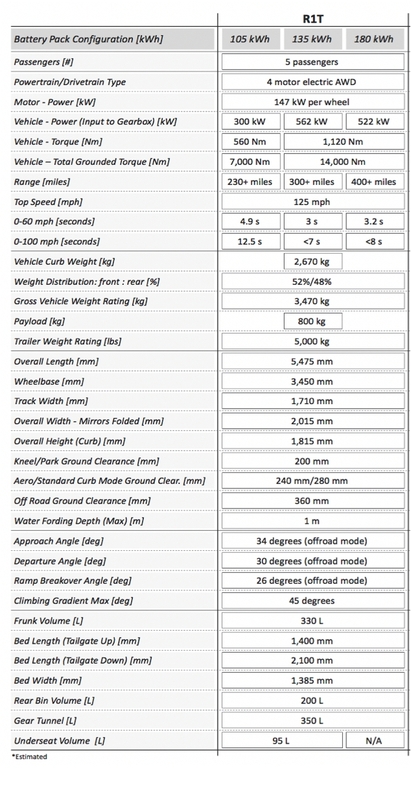 The foundation of the R1T and R1S is Rivian’s skateboard platform, which packages the battery pack, drive units, suspension, braking and thermal system all below the height of the wheels leaving the space above for occupants and their gear while providing a low center of gravity. Rivian’s vehicles also feature a quad-motor system that produces 197 horsepower per wheel or 788 horses total with precise torque control to each wheel, enabling active torque vectoring designed to maximise performance from high-speed cornering to low-speed rock crawling. With 2,581 lb.-ft. of grounded torque per wheel (10,324 foot pounds for the entire truck), the R1T can reach 60 mph in 3 seconds and 100 mph in less than 7 seconds. The powertrain and chassis work together to enable the R1T’s tow rating of 11,000 pounds. 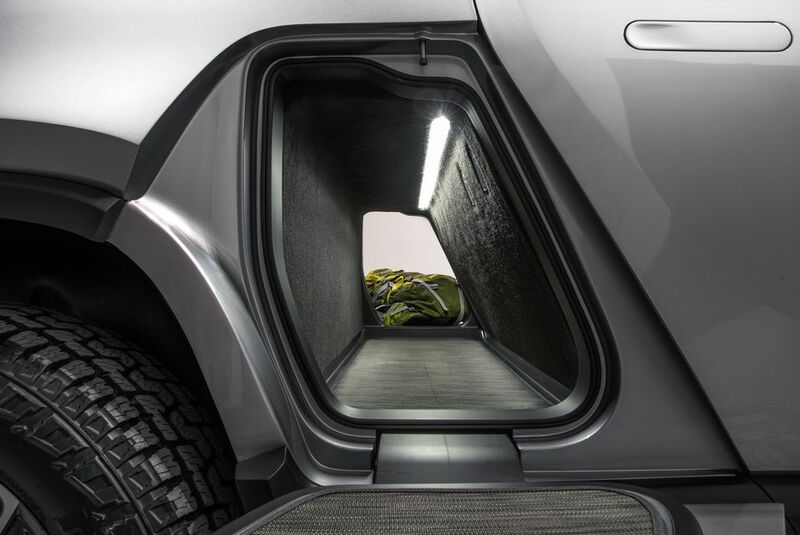 Being a vehicle designed for the outdoors, the Rivian R1T also has the capability to wade through up to 1 meter of water. There’s also a lot of storage in the R1T, with a frunk that offers 11.7 cubic feet (330 liters) and a “gear tunnel” — a storage area that spans the width of the vehicle, — that provides an additional 12.4 cubic feet (350 liters) of space, making it ideal for hauling long pieces of lumber, or skis. 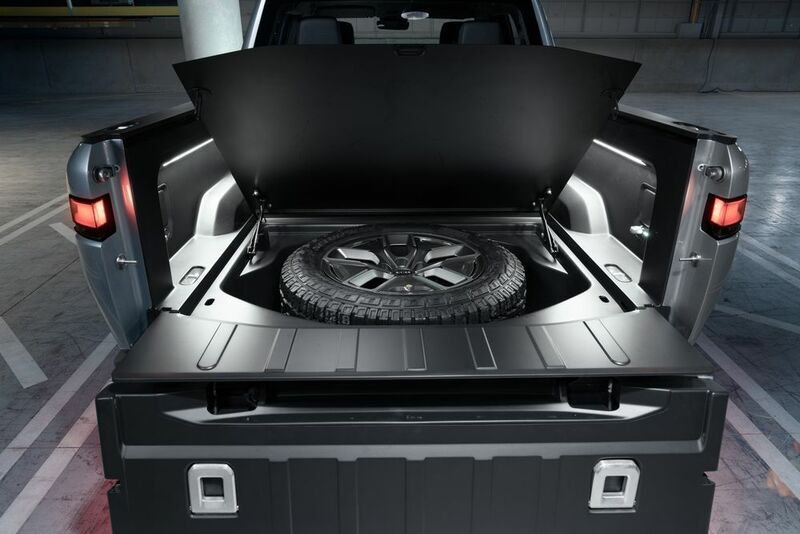 The all-electric pickup’s bed is also fitted with three 110-volt outlets with more than 400 watts available at each, as well as a compressed air source for filling in bike tires. 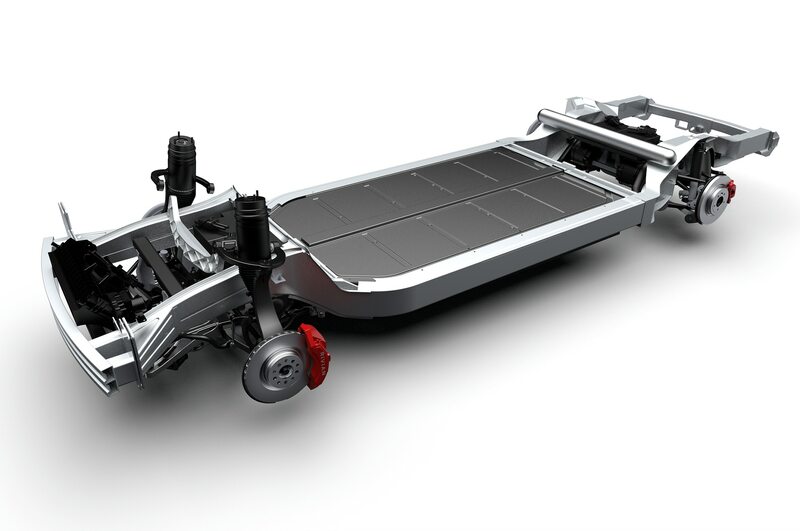 Three battery pack variants will be offered for the vehicle — a 180 kWh battery that is expected to give 400+ miles of range per charge, a 135 kWh option that gives 300+ miles of range per charge, and a 105 kWh variant, which will give about 230+ miles of range per charge. Rivian plans to start manufacturing the R1T’s higher-end options first, followed by the entry-level version, which starts at $69,000 within 12 months from the start of production. Production for the R1T is expected to begin in 2020. “We were quiet in stealth mode to avoid getting caught in this sort of hype cycle, and we said let’s make sure we have all the pieces lined up — the vehicle, the technology, the team, the supply chain, the manufacturing plant — before we actually talk about it. Because of that, some people have been questioning [us]. People need to see that this is very, very real,” Scaringe said. Re: Rivian RT1 - Yay or Nay? Yeah I would too. Checks all the boxes, towing, payload, power, range even. Pretty slick. The Friday morning announcement comes just days after reports began circulating that GM would join Amazon in the new round of financing. But a well-placed source involved in the negotiations told CNBC that "you don't find all the presents under the Christmas tree," suggesting that another development is in the works, one that could come at or before the New York Auto Show in April where Rivian is scheduled to hold a news conference. "This investment is an important milestone for Rivian and the shift to sustainable mobility," said RJ Scaringe, Rivian founder and CEO. "Beyond simply eliminating compromises that exist around performance, capability and efficiency, we are working to drive innovation across the entire customer experience. Delivering on this vision requires the right partners, and we are excited to have Amazon with us on our journey to create products, technology and experiences that reset expectations of what is possible." GM CEO Mary Barra last March said that the automaker is on a "path to an all-electric future." And just like that they get almost billion in investments! I want one but don't have the need to justify it. $90000-$120000 for a pickup truck. Seems like it is well executed and has a lot going for it apart from that. These new electric vehicles are a little more pricey than the average ones, but at the same time it's really only taken off in the last couple of years. By 2020 there will be a lot more competition on the market. Today's high end technology will be tomorrows economy car tech. The early hype and novelty have helped fuel the sale of Teslas. Its only the die hard EV believers, fanbois and those with extra income that buy them. Until the price comes down (to the promised $35KUSD for the Model3) and they can convince the 'regular' consumer that they are a viable option over what else is out there, its going to be a struggle. Dont get me wrong, EV's are definitely the future but I think its further out than most people are saying. Hopefully the growing pains Tesla is going through will pass and they can get on track to help make real changes in the industry. I think there are some advantages to electric vehicles that can only be experienced, such as the incredible torque and the relaxing lack of vibrations. FYI I made a quick and dirty calculator that you can use to estimate payoff time for an electric vehicle vs a fuel vehicle. I'm sure I've forgotten some stuff and estimated some things wrong but let me know and I will modify it! You should probably include the cost of installing a level 2 charger in your home. $1000-$2000 is what I can see online. Last edited by Shoreboy; 02-21-2019 at 01:39 PM.